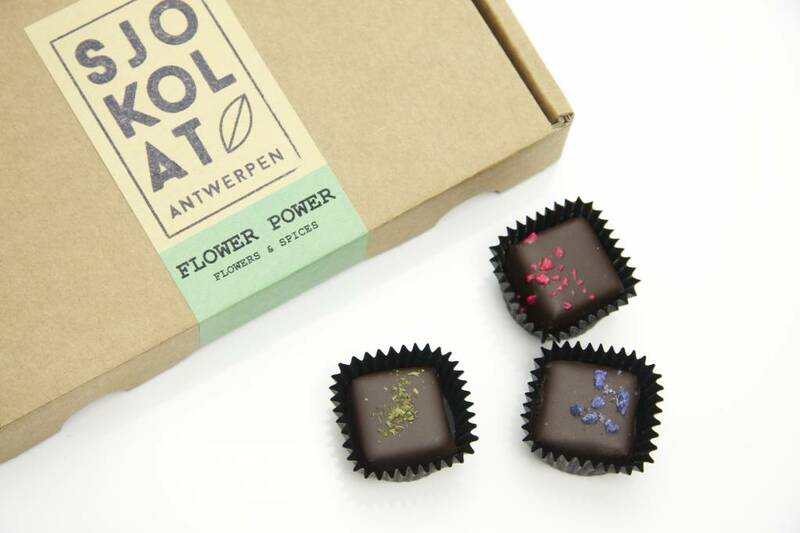 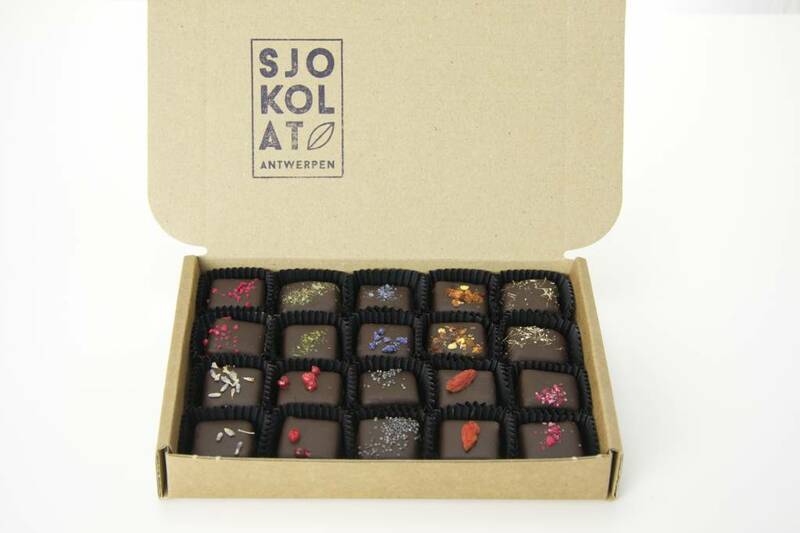 The "Flower Power" collection offers a poetic interplay of flowers, spices, herbs and chocolate. 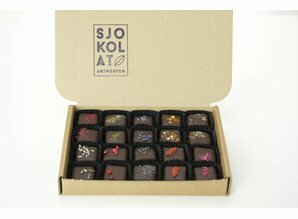 The boxes are compiled from a continuously rotating stock to guarantee maximum freshness. A random selection from the Flower Power range: ginger, candied chilli, mint, lavender, geranium, pink pepper, poppy, earl grey tea, fennel, violets, roses, etc.